Welcome to the August 2017 edition of our newsletter Paris Panorama! Each month we feature an inspiring haiku poem by Anna Eklund-Cheong. 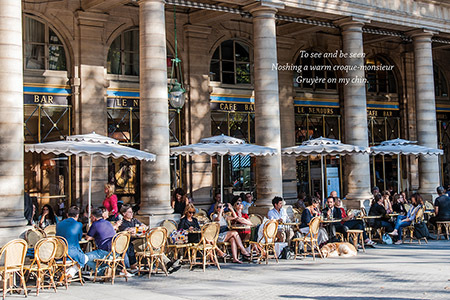 You will also find information about what’s up in Paris, our restaurant of the month with a link to the review, and an angel of the month by Rosemary Flannery. 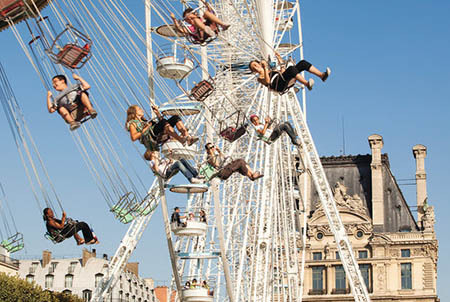 The highlight of the month of August is the Fête des Tuileries, where children and adults, Parisians and visitors all enjoy the sixty or so attractions: bumper cars, ghost trains, shooting gallery, hall of mirrors, and wooden carousel horses. 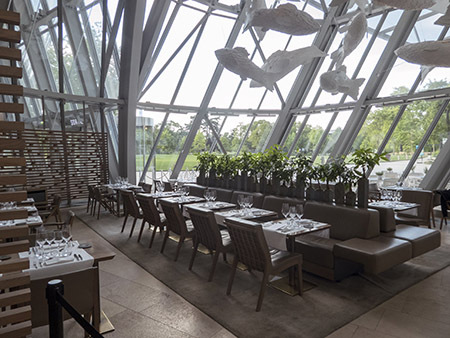 Le Frank sits in the Louis Vuitton Foundation building under a vast canopy of steel and glass with a view of the Bois de Boulogne. Raphael the archangel gazes steadily ahead above the door of marvelous Romanian Orthodox chapel placed under the protection of the archangels. It was believed that in rendering visible that which was not, the image would serve as witness to the existence of the divine cosmos. 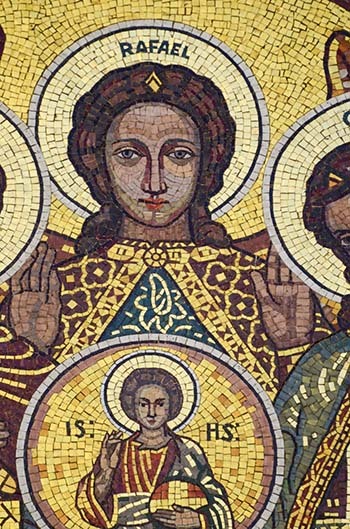 Portrayed in dazzling gold and colored mosaic, his hands open in prayer, Rafael is limned according to the canon of 6th-century Byzantine icons: elongated nose, small mouth, and large almond-shaped eyes. Because they know God, sacred figures were presented as impassive and calm.